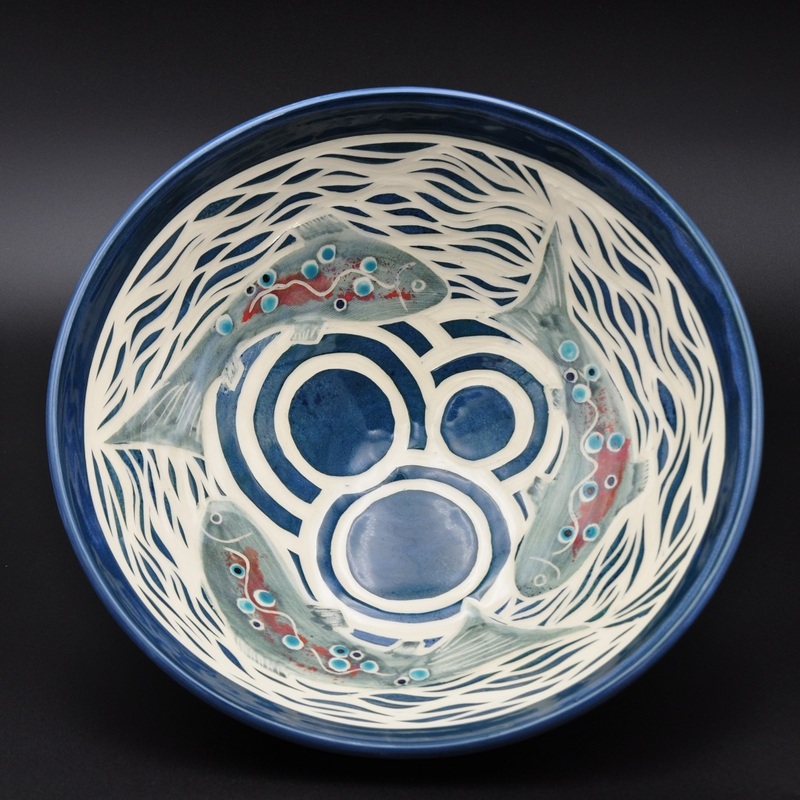 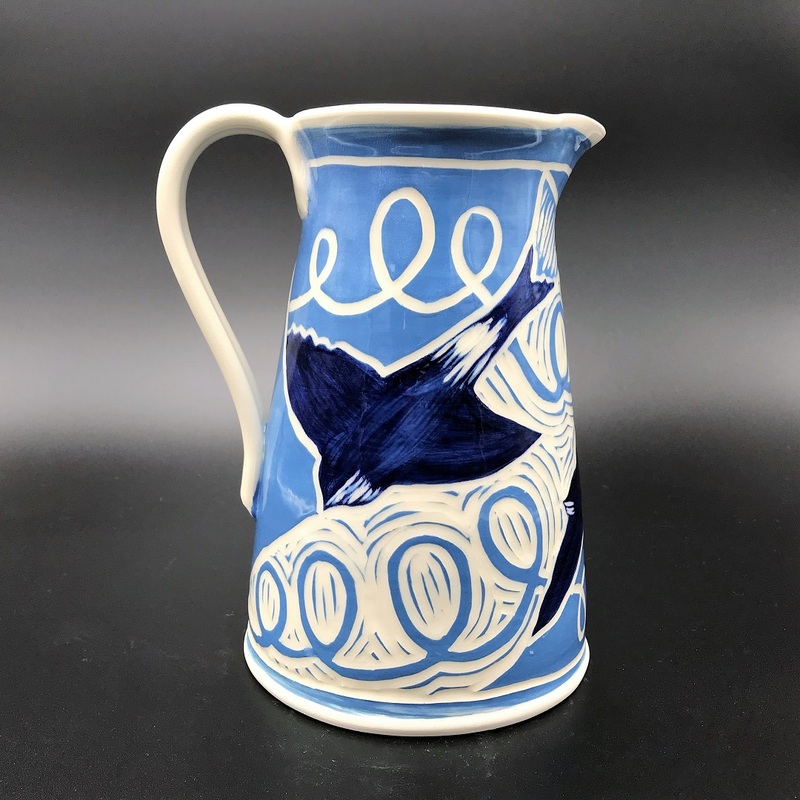 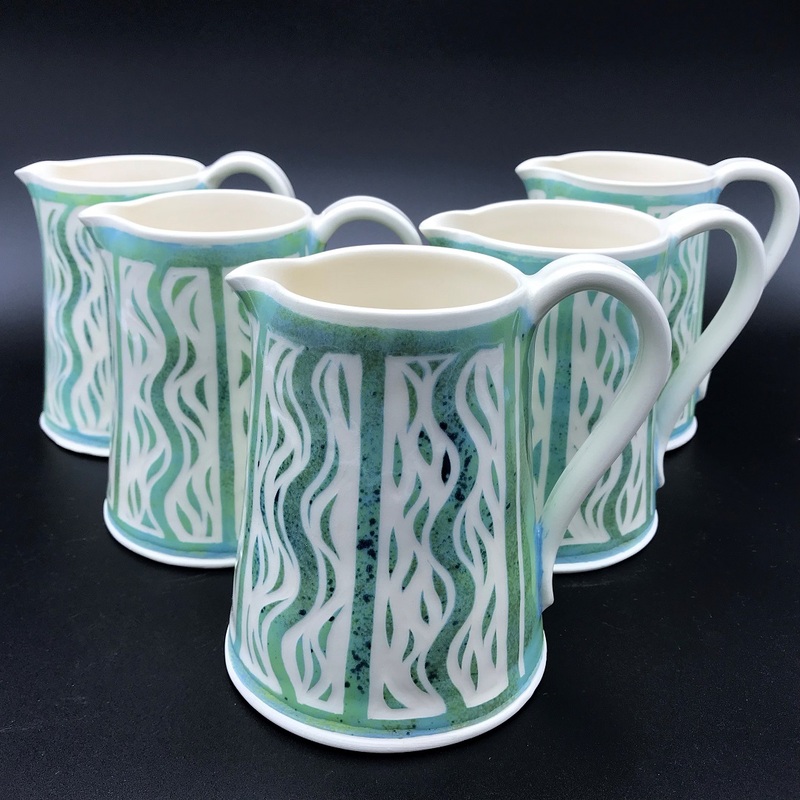 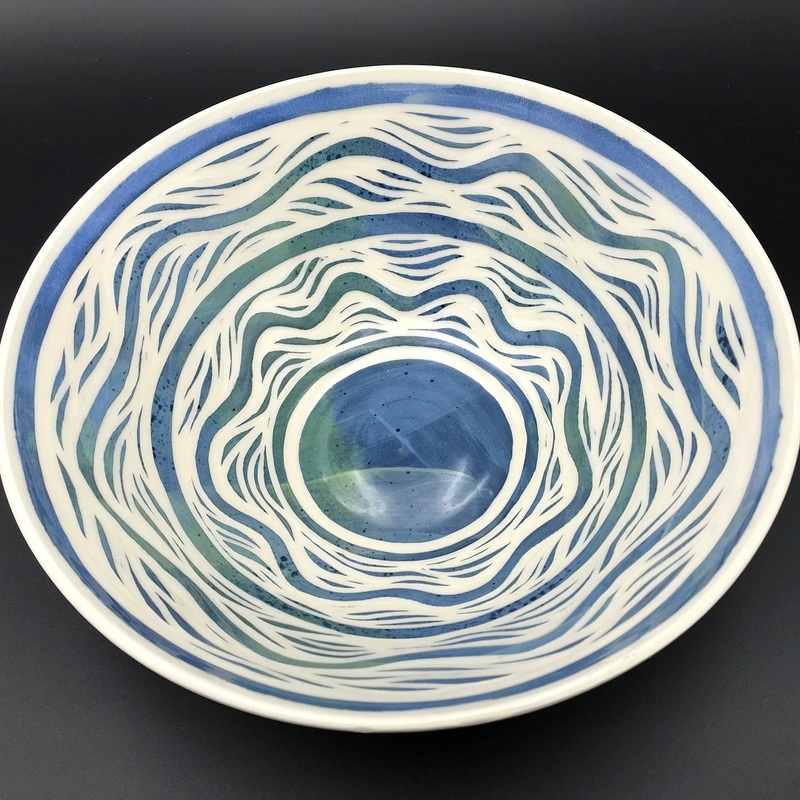 I work mostly in white earthenware and stoneware, both on the electric wheel and building with slabs and coils, creating functional and decorative pieces. 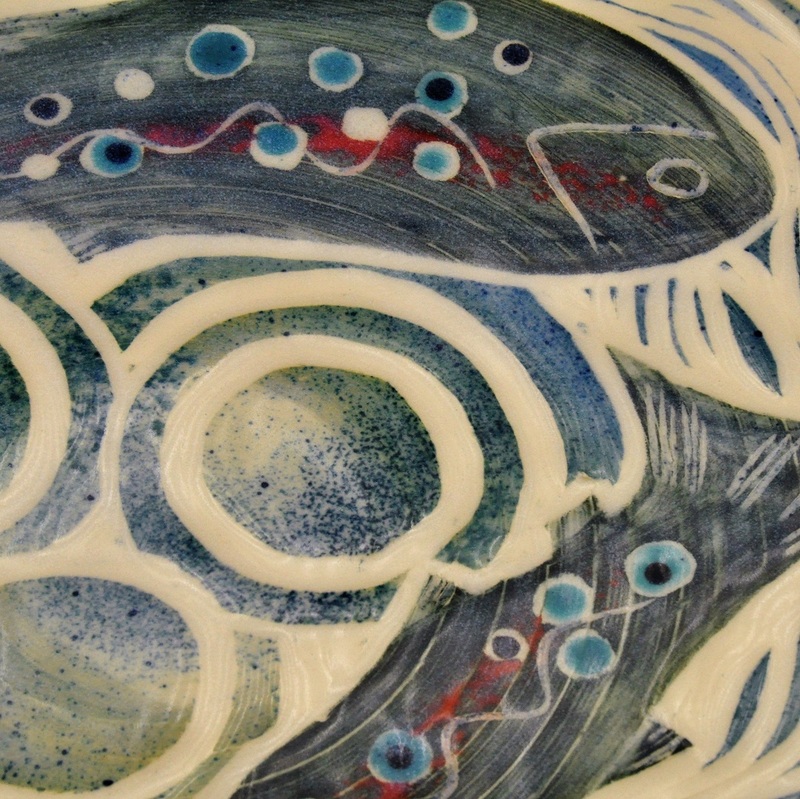 A passion for colour has meant that surface decoration has become an integral part of my work. 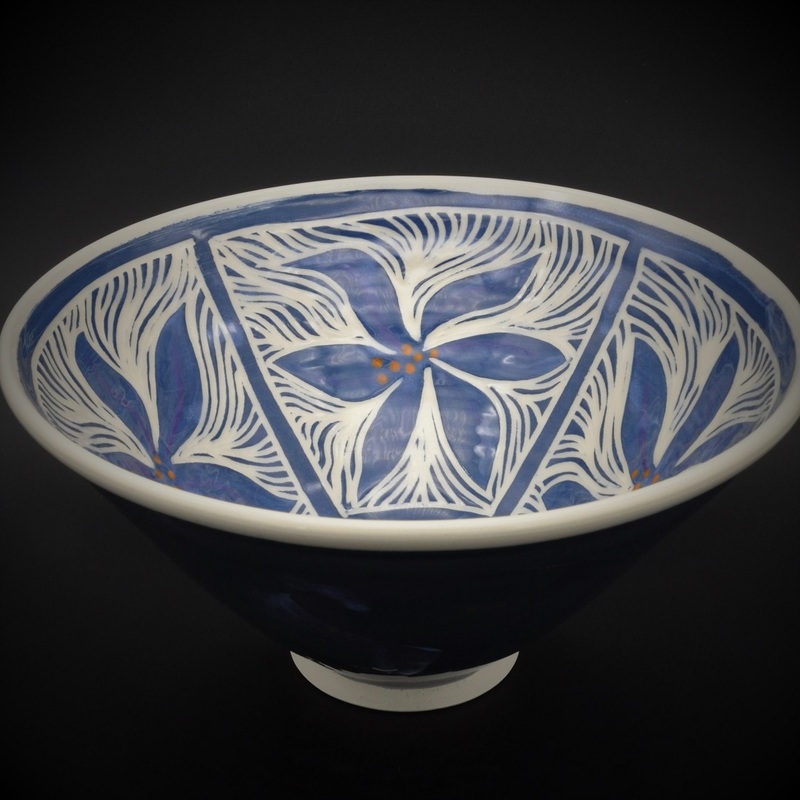 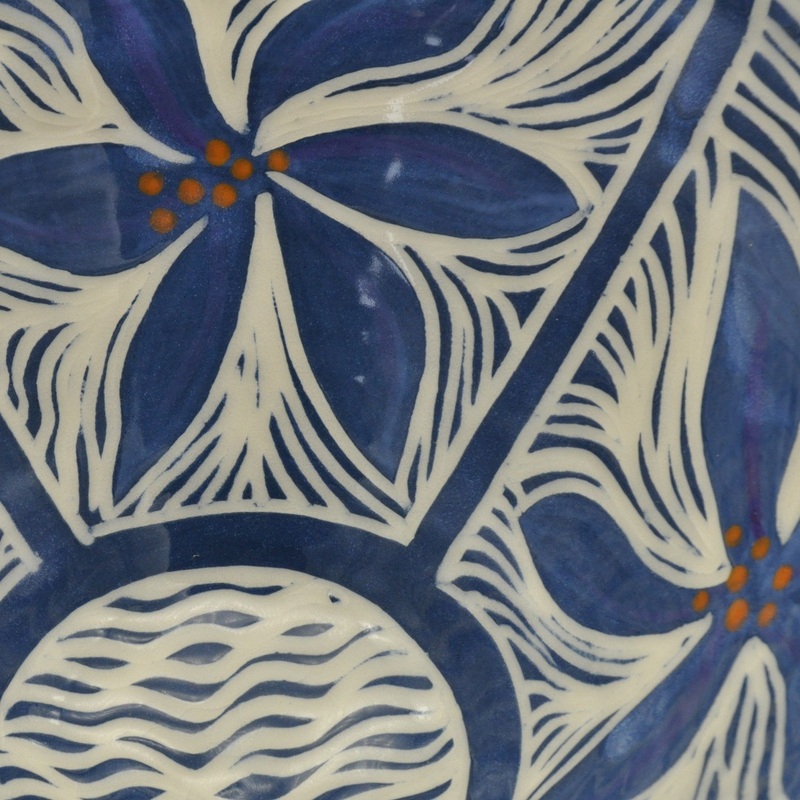 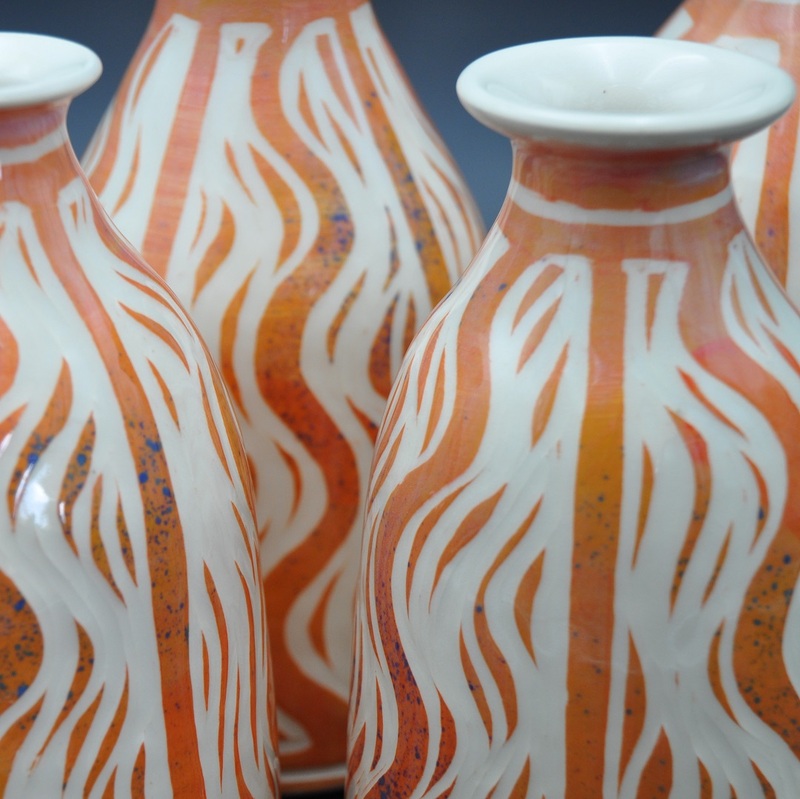 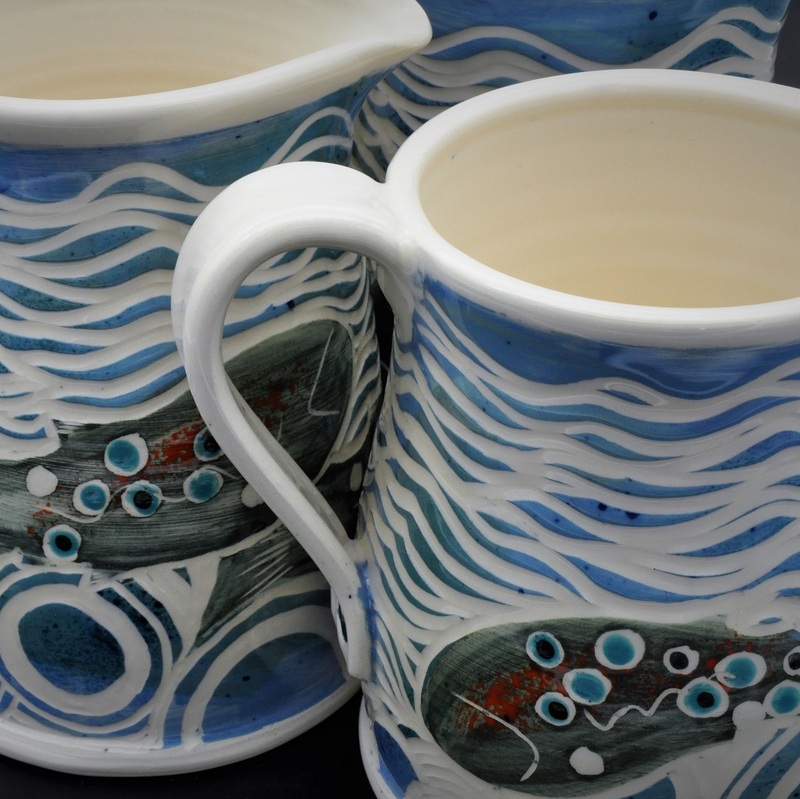 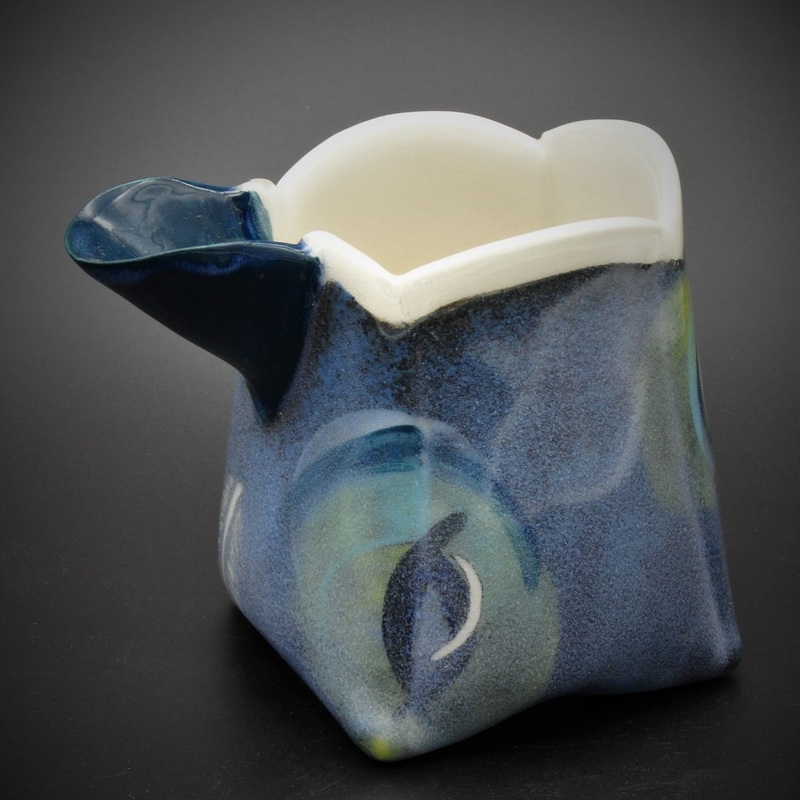 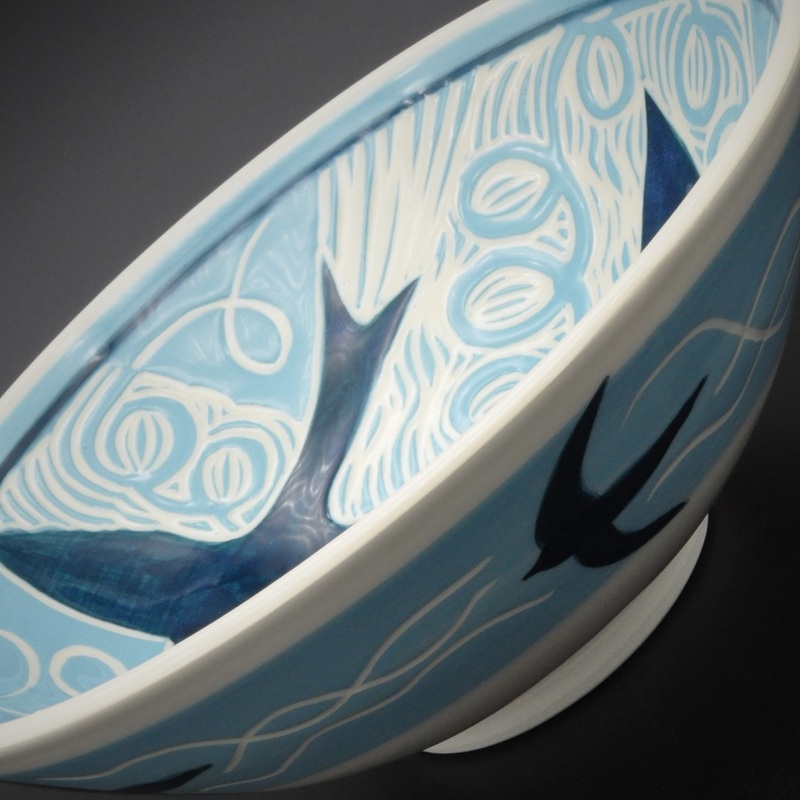 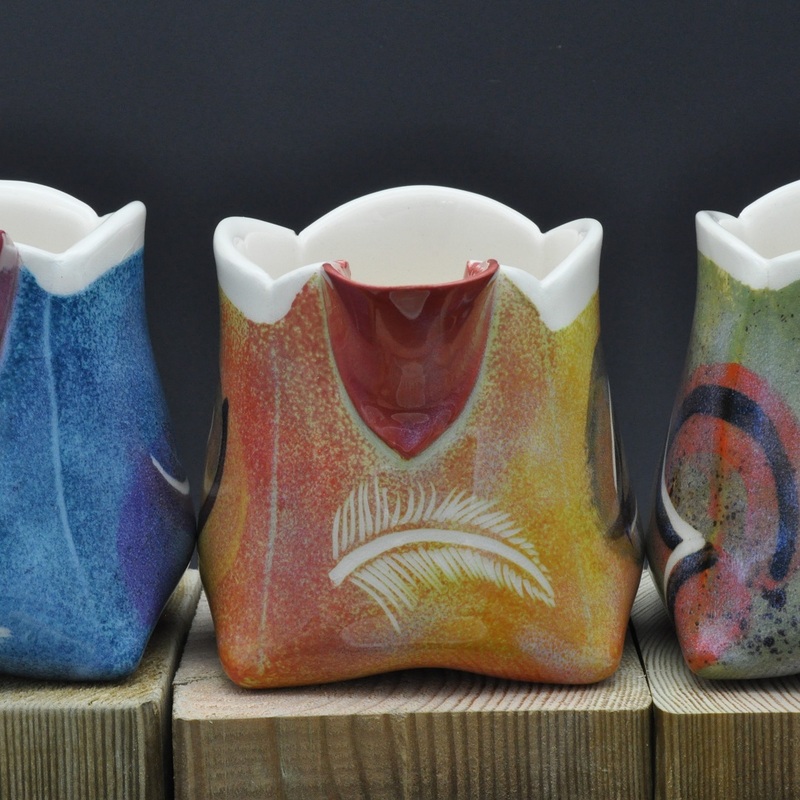 I use numerous techniques to apply colour in the form of slips and underglazes in multiple layers, combined with wax resist and sgraffito. 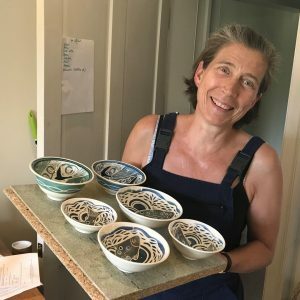 My inspiration comes from the environment in which I live, work and walk; Hampshire down land, chalk streams, birds, plants, flowers and insects all find their way on to the clay surface.